Ricky Henderson has been in career-best form to start the year. Since joining the Hawks in 2014, St Kilda has emerged as the opposition side that Ben McEvoy performs best against. His 15 disposals per game against the Saints is his highest average against any side, while McEvoy has only averaged more goals against Fremantle. Adding to the Saints concerns, the ruckman is in career-best form, proving a force both in the air and in front of goal. The Hawks will be hoping McEvoy’s dominance against his former side continues this Sunday. Despite an impressive 2-1 start to the year, St Kilda interestingly do not boast any players inside the league’s top 15 goal kickers to this point in the season. Instead it’s a cast of small forward options that have helped to facilitate the Saints forward dynamic so far this year with the likes of Jack Lonie, Jack Billings and Jade Gresham all performing well. Hardwick has had a strong start to the year, taking his game to another level following a stellar 2018 season which saw him finish runner-up in the Peter Crimmins Medal count. Expect Hardwick to be assigned an important role for the Hawks this week. A man who has risen to the challenge of the Hawks various midfield voids in recent weeks, Ricky Henderson has had a superb fortnight. Recording 29 disposals in each of his last two outings, Henderson has produced a strong balance between his inside game and his outside game. The 30-year-old also knocked over a goal in both Rounds 2 and 3. 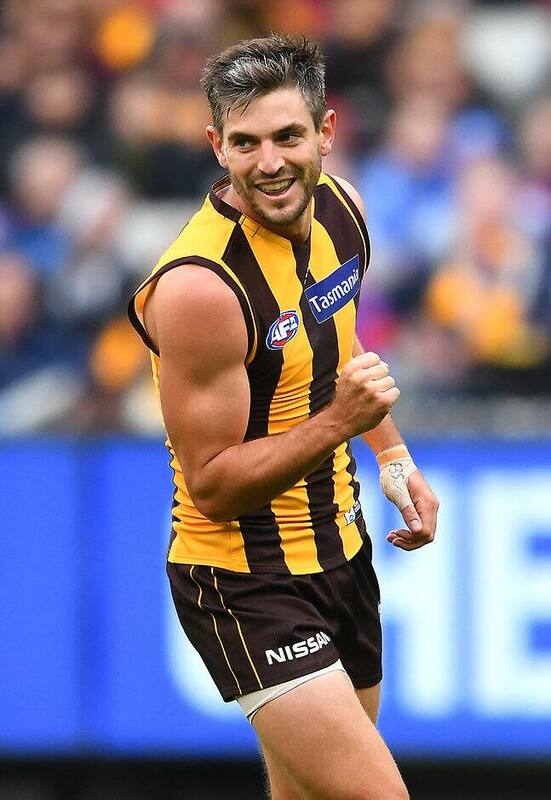 With Alastair Clarkson forecasting a fierce midfield battle against the Saints, the Hawks will be relying on Henderson maintaining his current hot streak. After a somewhat inconsistent season in 2018, Billings has put that all behind him so far this year, starting 2019 in outstanding form. The 23-year-old is averaging 29.3 disposals per game to rank inside the competition’s top 20 ball-winners at this point in the season. What makes Billings such a dangerous player is his ability to have his influence forward of centre. His performance in last week’s loss to Fremantle was testament to this, with his 32-possession effort complemented by two goals and six inside 50s. Seb Ross has had a curious start to the season. Having built a reputation as one of the game’s best accumulators in recent years, the 25-year-old has been slightly slow out of the gates this season, averaging 23.6 touches per game – his lowest tally since 2015. But the Hawks are aware of Ross’ ability, with the midfielder gathering 34 touches the last time these two sides met. It will be important to watch whether Ross’ form continues, or he returns to his ball-getting best on Sunday.